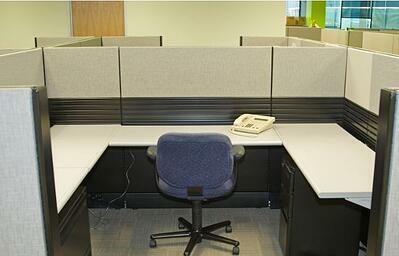 In the beginning, there was the cubicle. Its resident wore pleated pants, drank Folgers coffee, and only came out at lunch and 5:00 pm. He found his worth in numbers: How long can he stay in the cubicle, keep on task, not get distracted. Now, the coffee’s organic, the pants are skinny, and the dividing cubicle wall has come down. In its stead, a modern workplace has been born, one that values working together over working alone. Experts suggest that companies going far in the next decade will do so by embracing and facilitating collaborating. Here are some tips and trends for your company that will bond your team in 2019 and help you become the company your customer needs you to be. What have we learned since the cubicle came down? Different spaces produce different results. If you want to knock tasks out, that seems to happen best at a desk. If you’re making business decisions with team members, a boardroom table seems to do the trick. But what about generating ideas? What kind of space do you create for that? Don’t ideas just come at random, like in the shower or on the 117-step walk to and from the coffee pot? How do companies develop leaders instead of just simple doers? What happens to the company that doesn’t make space to think a new thought? You don’t have time to wait for your competitors to show you what to do. If you’re serious about shaping your business and your industry, you must create a team collaboration space that unites your team, unfolds your future, and constantly re-introduces you to your customer. In a huddle space, you’ll deploy a video conferencing solution that makes it easy for employees to slide in and out of idea-driven meetings. This will be a room or area, typically complete with couches or a round table, a space that seems to make ideas more available. And it will also become a reset room, a place where team members remember the big picture, what the customer really wants, the “why” behind the “what.” This is what happens in any space that brings people together. A huddle space provokes a new head space, one that is collaborative to its core. This is the kind of room that turns a group of employees into a team. Make collaboration your goal in 2019 by creating a space that unifies your team. Bring it together with an AV solution that allows remote employees easy access into the room, and quick collaboration in meetings. A huddle space will introduce members of your team to one another, and help grow the kind of collaborative, idea-focused culture your customers enjoy doing business with. When teams thrive, trust builds, and Big Ideas happen. Make 2019 the year your team tears down the cubicle wall and goes further, together.